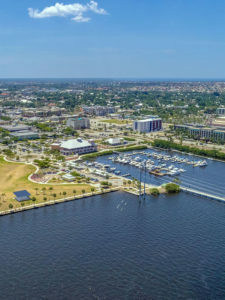 The Punta Gorda Chamber invites you to explore our city and discover why Punta Gorda, FL has continuously been chosen as one of the best places to vacation, live and work! Punta Gorda is an historic small town, a hidden treasure on Charlotte Harbor. The Punta Gorda Chamber is committed to improving the local business climate. 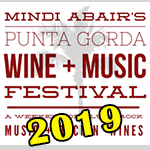 The Punta Gorda Chamber of Commerce invites you to explore our city and discover why Punta Gorda has continuously been chosen as one of the best places to live! Maj. Michael Anderson was chosen to serve on a team of 96 worldwide law enforcement officers, 10 Special Olympics athletes & 6 logistics personnel, as “Guardians of the Flame”. The team has run the flame throughout the United Arab Emirates starting Mar 3; the run culminates at the Opening Ceremony for the Special Olympics Mar. 14, in Abu Dabai. Watch for the Torch Run here in Charlotte County April 17, which will raise funds for the next Special Olympics event. The PG Police Dept. has launched a new VIP Bike Patrol in our community! A volunteer group of experienced cyclists are specially trained in bicycle safety, bicycle education, and bicycle and pedestrian laws. They will assist the public with safety information, conduct parking enforcement, & report suspicious activity or potential safety concerns to officers – keeping Punta Gorda one of the safest cities in Florida. Punta Gorda ranks 10th in the state of FL in the Top 20 Safest Cities. Venice and North Port also ranked in this group. Thank you to our local Charlotte County law enforcement agencies – and law-abiding citizens! 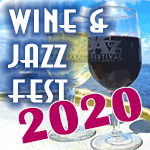 PGCC Wine & Jazz Fest is a success! Approximately 1,800 people and 20 vendors attended, fantastic tunes from Matt Marshak, Sax Pack, & Gerald Albright. 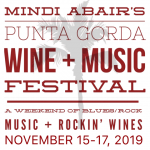 “You can take wine to everything,” said one attendee, “but you don’t get good jazz everywhere.” You do HERE in Punta Gorda! 50 years ago, New York had 4-times the population of Florida, now Florida is larger than New York. Gov. DeSantis reports a $1.4B revenue surplus. In PG, home sales abound, small businesses see growth. The F-16 jet team will perform their aerobatic expertise at the Nov 1-3 Florida International Air Show at the Punta Gorda Airport. Tickets and sponsorships are available now. Charlotte Technical College SkillsUSA team: medaled at the regional competition in Feb., will compete at the state level in April. Florida Power & Light is set to expand the solar field at Babcock Ranch by an additional 330,000 panels. Doubling the 74.5 megawatts of power, FLP and Charlotte County will lead Florida in the production of solar generated electricity. 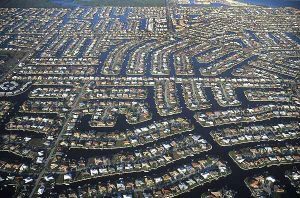 Punta Gorda has been noted by Realtor.com to be America’s fastest-growing retirement hot spot. Walkable & tourist-friendly, senior-friendly were among the ranking criteria. Published in the 6th addition, this book is “your gateway to 100 cities hand-picked by the experts at Where to Retire magazine, the authority on retirement relocation.” Punta Gorda is 1 of 18 Florida cities selected. We also ranked as one of the “Best Small Towns” in the U.S. The book is Available on Amazon. New Punta Gorda Charlotte Library is looking good! Courtesy of Air Shot Aces Drone Photography. The Punta Gorda Chamber plays an important role in my business. The Chamber is a family of business oriented people that strive to look out for the best interests of small businesses in the area. I am so glad to be part of the family!! Mike Martin, State Farm Insurance Inc.